At this critical time for the planet, Katja Loher draws attention to the silent and gradual extinction of many species through the artifice of creating digital alternative interpretations and recombinations of reality. For over a decade, she has experimented with various forms of Videosculpture, combining nature and technology in a collective effort with architects, dancers, choreographers, costume designers and fabricators. With her images, sound and performance, Loher gives life to an enchanted world of intriguing creatures from the past and the present, generating both individual visions and personal readings. VUELA VUELA is an all-immersive installation experience that explores the four elements of nature by relating each one to creatures infused with mind and spirit. The exhibition space draws visitors into an alternative world as they peek into the round glass portals on the gallery's facade. The performance begins inside as they encounter each element through sound and vision while traveling through a phantasmagorical and enchanted universe. Hand blown glass bubbles hold microcosms of beauty and complexity that capture entire worlds and alternate realities in an instance of time. Videoportals open a passage into dimensions where poetic statements materialize into human form creating words and letters that dance in space. Ballerinas take on the form of small creatures in a multicolored game of perspective and scale that ennoble the existence of tiny beings. Vibrating trees taken from nature ooze videospheres akin to liquid sap with images from the rain forest, the healer, his medicine and his plants, infusing the endangered forest with a second life in this digital world of magic. The spirit of the trees speaks, chanting the hummingbird song that symbolizes the connection between Earth and the Universe for the Ashanika healers from Peru - the song VUELA VUELA that has given the show its title. 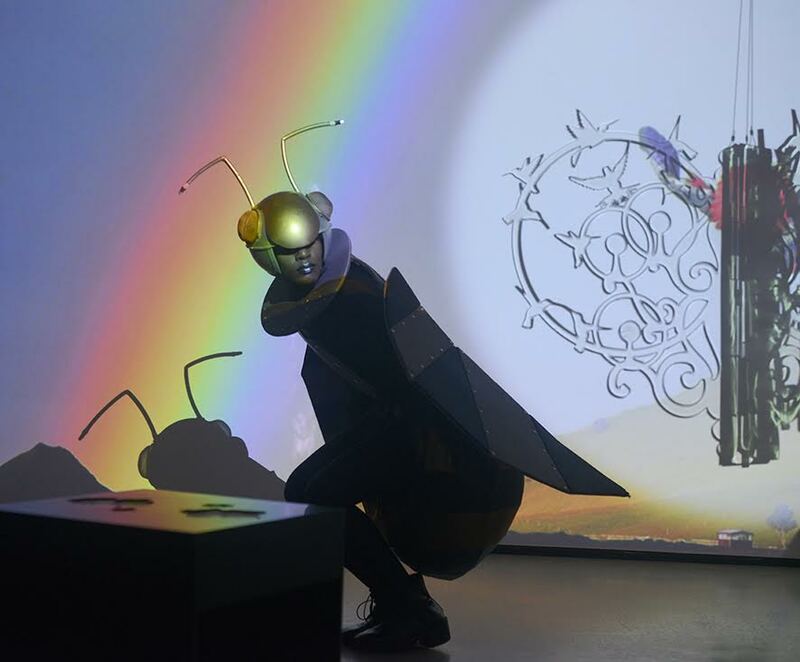 Dancers in costumes mimic the metamorphosis of the butterfly and the somatic sonar-type communication between individuals in ant colonies, flocks of birds and bee hives. 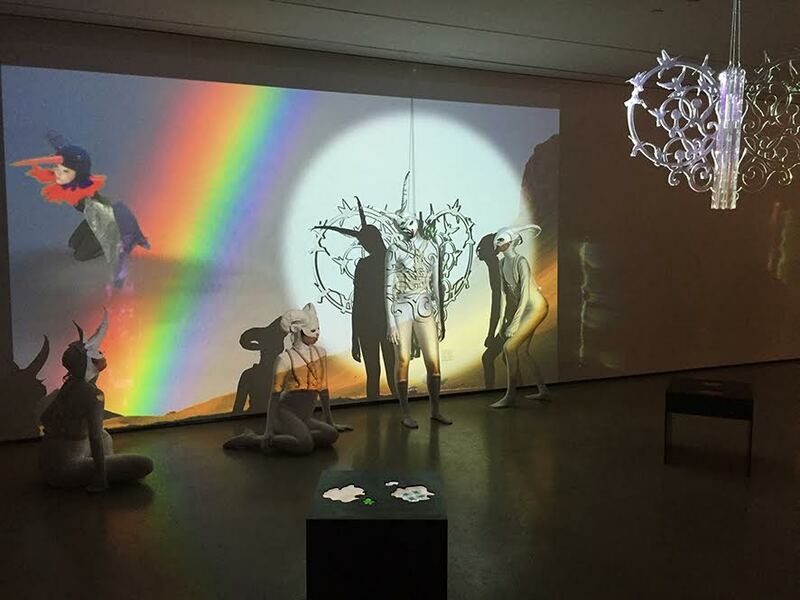 Loher's Videosculptures open windows into kaleidoscopic worlds of recombined images and visions that mix different realities. Visual collages are generated using footage taken from the artist’s travels in the Peruvian Amazon in combination with elaborate choreographies filmed from a bird’s eye view in her green screen studio in New York. The resulting images originate from her ongoing experiments in Cymatics - the study of visible sound based on waves of geometric pattern - undertaken in her Videolaboratory. Physical space is transformed into an ethereal world inhabited by the spirits of nature. Chorals, bees and hummingbirds emanate from floating Rainbowmakers that rotate in space and reflect onto the surrounding walls. It is a dimension where life and impermanence intertwine. It is a liminal zone where extinct creatures and endangered species haunt the spectator through the artifice of technology: that very modern form of magic that is able to recreate alternate worlds and imbue them with life. In this exhibition, Loher takes us on a new journey into the art of molding nature through the artifice of technology and performance. Loher´s artifacts generate a virtually real world where human action becomes a creative act rather than a destructive force. The mutual relation between technology, art and magic becomes natural in this virtual jungle where the ancestral healer still dwells. Art as artifice, art as practice, art as experience.